Our product range includes a wide range of ip 65 200a fp electrical control panel db, electrical control panel, ip 65 100a electrical control panel outlet, hensel enysun control panel, polycarbonate box with sockets, mcb, indication and other accesories and power control panel. 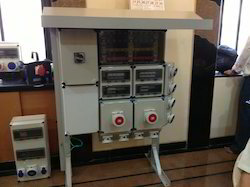 With Volmeter, Ammeter, suitable Busbar unit, Canopy & Mounting Stand. 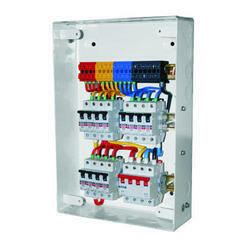 Electrical Control Panel we can fit any switchgear, they come with an opaque lid or transparent lid. 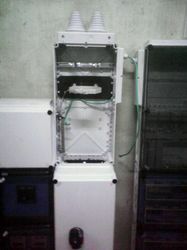 They can also be combined to make an electrical panel. We are based in Mumbai(India) and ensure to make available the entire range of products to any required destination. The payment methods we opt are highly confidential and we have maintained a well-organized database listing all the transaction details and clients' personal details to avoid any confusion. 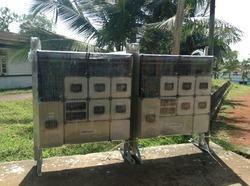 32A DP MCB Outgoing with IP 67 z 8 nos with suitable Busbar unit, Canopy & Mounting stand. we are capable of delivering the orders on time and at any desired Mumbai(India) as we are supported by up-to-the-minute facilities. We follow a stringent quality procedure to ensure that only a qualitative range of products should be delivered at buyer's end. An electrical distribution box with mcb,iP 44 engineering plastic socket, metal clad sockets,mcb flap, mcb, indicating lamp for phase indication. and others. The advantage of this electrical panel box compared to metal is shock proof, insulation proof, flexibility in fixing electrical switchgear, with dust proof installation. 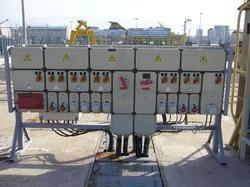 The life of the electrical panel box is many times more than sheet metal which corrodes in 4 to 5 years. Totally shock proof using engineering thermoplastics. Modular in size. Can be combined and extended easily. 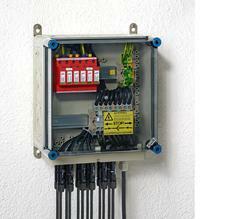 A lot of flexibility in installation due to a lot of studs and mounting holes provided for DIN Rail, mounting plate etc. The long life of more than 15 years. Half turn screws for the opening of enclosures. saves time. Even suitable for outdoor use. Weatherproof. Compact in size and hence occupies less space. Industrial Control Panel offered come with support of polyurethane adhesive door sealing support as well as with nano pre-treatment automated spraying support so as to deliver optimum work performance in different end usage working conditions. Further, these industrial panels come with inner framework adopting cold-rolled steel plate and double connection of steel plug-in and welding finish. Some of its other features include overhead ring connecting steel plug-in directly to ensure lifting intensity of holder; convenient to install; bottom plates to ensure convenient and flexible cabling. 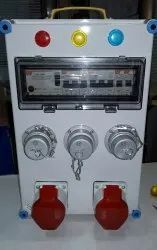 We Wel-lite electricals & electronics private limited have been counted amongst the most trusted names in this domain, engaged in providing Industrial Electrical Control Panel.